With all the bright lights flashing around the disco, the 70s had to make their fashion really pop whenever they were under that mirror ball. They found this solution by taking every color in the rainbow and making it bright and shiny from head to toe. Gold never really disappeared in fashion but it made itself very known in this era with a little added spark and glamour. Not to mention the fact that they took ordinary gold chain jewelry and made it at least 10 times bigger to really shine in the technicolored lights and dance to the sweet beat! 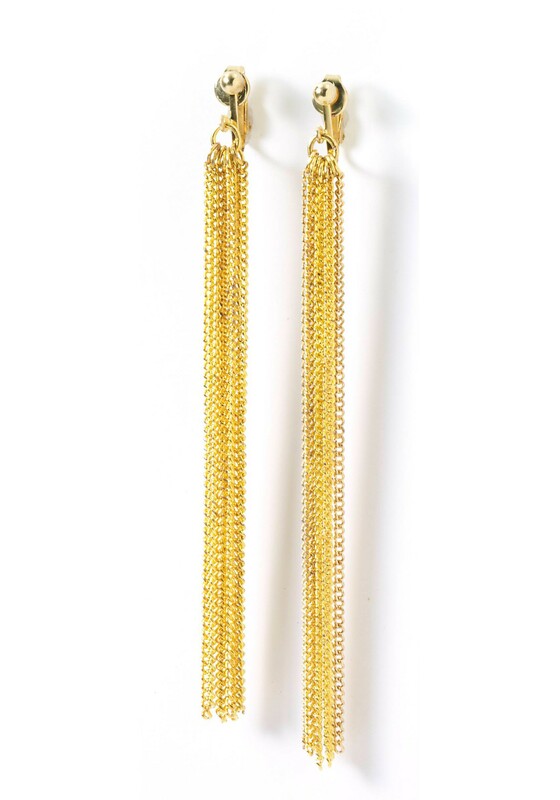 Give yourself a chance to stand out by accessorizing with your own pair of gold chain earrings that will swing to the beat right along with you while giving you a precious glow that will perfect any vintage costume. Check out the rest of our groovy costumes and accessories while you're here. Now get out there and let them know that disco really isn't dead!